Our board has decades of experience founding and building leading oncology companies. Dr. Heyman has over 25 years of biopharma experience. Previously, he was the co-founder and CEO of Aragon and Seragon Pharmaceuticals, two San Diego biotech companies focused on discovering and developing therapeutics targeting hormone-dependent cancers. Johnson & Johnson purchased Aragon in 2013 and Genentech/Roche purchased Seragon in 2014. Earlier in his career, Dr. Heyman was co-founder and Chief Scientific Officer of X-Ceptor Therapeutics, and also served as Vice President of Research at Ligand Pharmaceuticals. He has been involved in the discovery and development of multiple therapeutic agents approved by the FDA, including the recently approved drug, Erleada, that was demonstrated to increase progression free survival for prostate cancer patients. He is the author or inventor on more than 120 publications and patents. In addition to serving on the Board of Directors for ORIC, Dr. Heyman also serves on the Board of Directors for Gritstone Oncology, Yumanity Therapeutics, Metacrine Inc, Vividion Therapeutics and Mavu Pharma. He is also the Vice Chairman of The Salk Institute. He was an NIH postdoctoral fellow at the Salk Institute, and received a PhD in pharmacology from the University of Minnesota and a BS in chemistry from the University of Connecticut. Peter Svennilson founded The Column Group, a biotech venture capital firm based in San Francisco, in 2007. He has 30 years of experience in corporate finance, investment banking, and venture capital. He was the Chairman of Aragon Pharmaceuticals from startup until it was sold in Johnson & Johnson in 2013 and was the Chairman of Seragon Pharmaceuticals until it was sold to Genentech/ Roche in 2014. Mr. Svennilson was a Board Observer of Arcus Biosciences until the company went public in 2018. Prior to TCG, Mr. Svennilson was the founder and Managing Partner of Three Crowns Capital, where he helped finance large part of the venture capital for biotech companies such as Tularik, Rosetta, PTC, Chemocentryx, Rinat, Tercica, Somalogic, Infinity and Fiveprime. Before founding Three Crowns Capital, he was the Associate Managing Director of European Investment Banking Origination at Nomura Securities in London. He is currently a trustee for the Institute for Advanced Study in Princeton, New Jersey. Richard Scheller, PhD, is the chief scientific officer and head of therapeutic development at 23andMe. Dr. Scheller was previously the chief scientific officer at Genentech, responsible for overseeing the strategy for research, drug discovery, business development, and early development activities. Following the company’s merger with Roche, he was named executive vice president and head of Genentech research and early development, and joined on the Roche enlarged corporate executive committee. Prior to joining Genentech, Dr. Scheller was a professor at Stanford University and an investigator with the Howard Hughes Medical Institute at Stanford University Medical Center. His work has been recognized with the Albert Lasker Basic Medical Research Award, the Kavli Prize in Neuroscience, and the 1997 US National Academy of Sciences Award in Molecular Biology, among other honors. He is a fellow of the American Academy of Arts and Sciences and a member of the National Academy of Sciences and he has served on numerous advisory boards, including the National Advisory Mental Health Council of the National Institutes of Health, and as a trustee of Caltech. Dr. Scheller completed his post-doctoral studies at Caltech and the Columbia University College of Physicians and Surgeons. He received his PhD in chemistry from Caltech and his BS from University of Wisconsin-Madison. Carl L. Gordon, PhD, CFA, is a founding Partner and Co-Head of Global Private Equity at OrbiMed. He was a senior biotechnology analyst at Mehta and Isaly from 1995 to 1997. He was at Fellow at The Rockefeller University from 1993 to 1995. For the last five years (2014 to 2018) Forbes® Magazine named Mr. Gordon one of the top 100 venture capitalists in the world when it placed him on the “Forbes Midas List.” Carl received a PhD in Molecular Biology from the Massachusetts Institute of Technology (1993) and a Bachelor of Arts Degree from Harvard College (1987). Leo A. Guthart, PhD, is a founder of Topspin Partners and serves as its Senior Advisor. He also serves as the Treasurer of Cold Spring Harbor Laboratory. He has served as a member of the boards of directors of multiple companies, including Aragon Pharmaceuticals (sold to Johnson & Johnson) and Seragon Pharmaceuticals (sold to Genentech/ Roche), Cylink, Peloton Pharmaceuticals, Neurona Therapeutics, and AginNOx Pharmaceuticals. He also has served as a trustee of Cold Spring Harbor Laboratory Inc. and Stony Brook Foundation, and a Member of the Board of Trustees of Hofstra University. Prior to Topspin, Dr. Guthart served as Chairman, Chief Executive Officer and President of Pittway Corporation Security Group of companies. Dr. Guthart is a graduate of Harvard College, where he received a BA degree in Physics, and of Harvard Business School, where he was a George F. Baker Scholar and received both an MBA and a Doctorate in Business Administration with a specialty in Corporate Finance. Mr. Guthart served on the faculty of Harvard Business School and was a Ford Foundation Fellow performing research on corporate share repurchases. His articles on share repurchases have been published in the Harvard Business Review, the Financial Analysts Journal and the Journal of Finance. 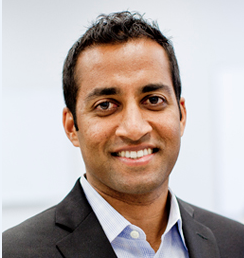 Dr. Chacko was most recently CFO of Ignyta, a NASDAQ-listed precision oncology company acquired by Roche in February 2018. At Ignyta, he had a broad operational role and helped raise over $500 million in capital. During his tenure, the company grew from fewer than 20 employees and a $50 million enterprise value to 125 employees and a $1.7 billion enterprise value at the time of acquisition. Prior to Ignyta, Dr. Chacko was an investor at TPG Capital, where he helped lead teams that completed acquisitions having an aggregate value of over $10 billion. He has served on the board of directors of Bonti, RentPath and EnvisionRx and was a board observer to Par Pharmaceutical, IMS Health and Quintiles Transnational. He previously served on the board of the Packard Children’s Health Alliance at the Lucile Packard Children’s Hospital Stanford. Dr. Chacko concurrently received his MD with AOA honors from UCLA and his MBA with Distinction from Harvard Business School. Prior to that, he was a consultant serving healthcare clients at McKinsey & Company. He received a MSc from Oxford University as a Marshall Scholar and undergraduate degrees from the University of Southern California, where he graduated as the University Valedictorian. He currently serves on the board of directors of Turning Point Therapeutics and chairs the Western Regional Selection Committee for the Marshall Scholarship.